Main Street Door has been working hard for people in South Windsor and other CT towns who experience garage door problems. 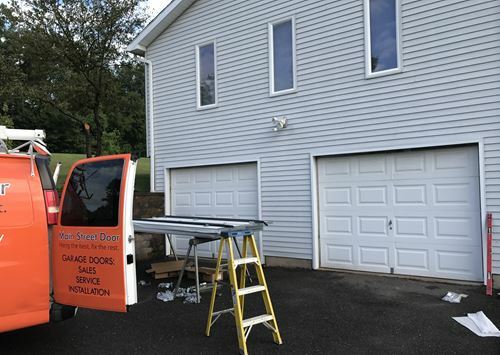 Whether a customer tells us the garage door falls by itself, sticks on its way up or down or won't move at all, we want to provide fast service to ensure safety and security for the homeowner. 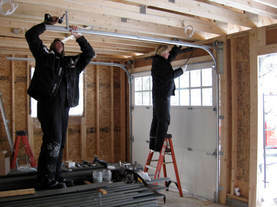 A garage door is a heavy moving object and could damage a vehicle or injure a person or an animal if it's malfunctioning. Unfortunately, any broken garage door is also a welcome sign for any thief who's casing the neighborhood. At Main Street Door we quickly inspect the garage door then fix the problem. We carry everything we need on our company van including new remote controls, rollers, hinges, springs and more. We send our own technicians, not subcontractors.